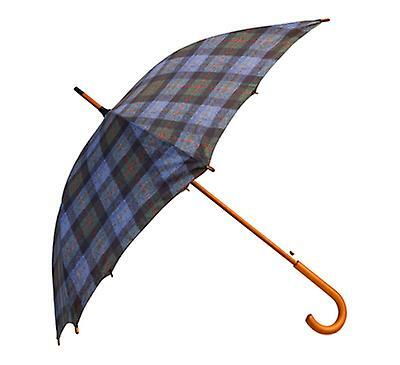 Premium British Country McLeod Tweed Check Print Umbrella - Extremely Durable &amp; Wind Resistant - From ChantamAt Chantam, we pride ourselves in offering beautiful designer umbrellas using only the highest quality materials. 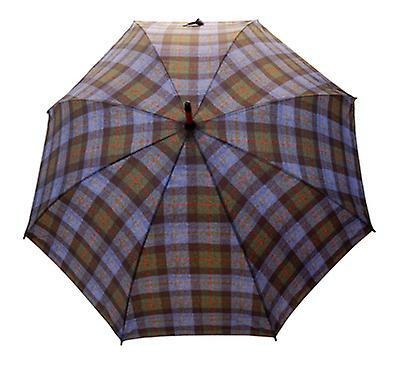 The luxury British countryside styling and tweed print make this umbrella versatile for any occasion and all outfits. The brown, green, red and blue check design is perfect for anybody looking for that timeless classic British country look.All of our umbrellas are professionally designed to ensure that they provide the highest level of wind resilience and durability. We only use premium quality materials because we want to ensure that your umbrella is long lasting and withstands all weather conditions. With its strengthened fibreglass shaft and soft pongee 190T fabric, you will be confident that this umbrella will see you through those wet and windy days. As well as being an ultimate fashion essential, this umbrella is also designed to be functional and practical. The straight style design of the umbrella makes it take up minimal space when not in use and easy to carry around on those long fun countryside days out.Chantam umbrellas make a perfect, beautiful and practical gift. Whether you're looking to buy a gift for him, for her, mum or dad, this umbrella is the most thoughtful choice, which is perfect for Christmas, birthdays and all other occasions. The classic design makes this umbrella perfect for all year round use and for any occasion; whether it be a party, formal event or a day out with the family.UMBRELLA DIMENSIONS: - 3.9 x 40.2 x 35.4 inches / Weight: 13.4 ounces.